The United States Government’s ISR community (Intelligence Community, Law Enforcement Agencies and Military Services) face a new challenge in media exploitation: technological advancements in collection platforms’ capacity now exceed ISR community intelligence collection requirements. The sheer volume of information that can now be collected and ingested from UAVs, full motion video, surveillance video, intercepting electronic communications, cell phones, texts, emails, FMV and open source information is so enormous, that only select segments of actual intelligence can be effectively analyzed and disseminated. The ISR community’s challenge in the fiscally constrained budget environment of the 21st century is to become increasingly adept at employing automated intelligence capabilities and develop new ISR tools that can collect, analyze, and disseminate in real time, the ever increasing volume of information in the most cost-effective manner. Opportunities for Industry Partnerships within intelligence agencies to accelerate development and fielding of initiatives focused on the automation and optimization of media exploitation. Influence: Help foster ideas! Share your own insight and knowledge during our interactive sessions. All attendees are given the opportunity to address our speaker faculty with their questions or comments and will receive a pre-Summit questionnaire for precise questions and subject matters you would like our speakers to address. 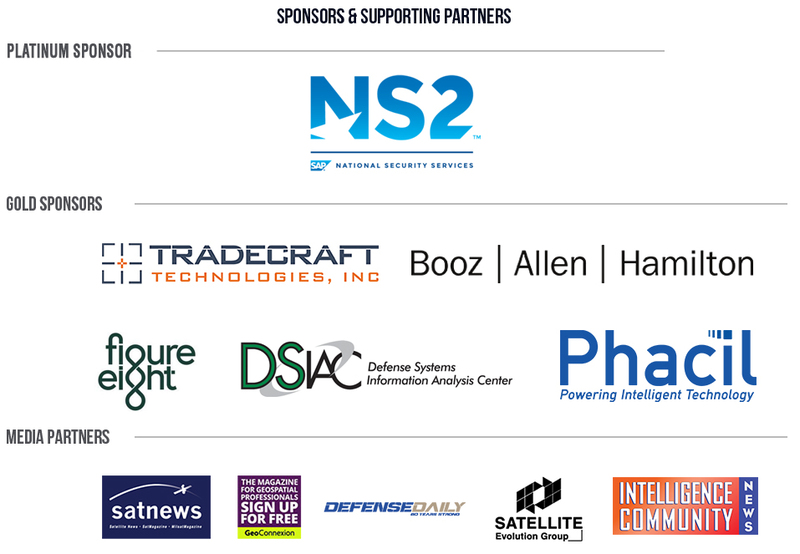 The Automated ISR Symposium is compliant with all current DoD guidelines towards NFEs, and adheres to the most recent standards of the Office of General Counsel. * Open to all Federal employees and is considered a compliant education and training forum in compliance with 5 U.S.C. Chapter 41. Today, the Intelligence Community, DOD, DIA, Military Services and LEA must accelerate the development and fielding of initiatives focused on full-spectrum media exploitation by optimizing the collection, triage, analysis, processing, and dissemination capabilities in support of current operations to achieve greater automation of intelligence and data. To this end, the center of gravity will be to identify parts of the intelligence cycle that are best suited for automation in order to deliver time-sensitive, and relevant intelligence in an most efficient and effective manner possible. The National Security Agency, National Geospatial Intelligence Agency, National Reconnaissance Office, CIA and the National Media Exploitation Center currently rely on automated search tools to examine information and their intelligence databases to identify potentially valuable information. These analytical tools and best practices must be rapidly adopted and implemented across the entire ISR community in order to relieve analysts of the enormous amounts of data that must be analyzed, to answer priority intelligence requirements, and to meet current budget requirements. DSI’s team specializes in extensive research to develop our Summits’ content and focus areas. We assemble the most respected minds in human and technical intelligence analysis within the ISR community – from key civilian and military policy-makers to operational commanders. Our non-partisan approach allows DSI to successfully bridge political and bureaucratic divides, and assemble a truly holistic group of value-added decision makers and solution providers.